We often get questions from prospective clients on the types of coverages they should purchase to protect their home, vehicles, personal property, and family members. We put together these common questions and answers for your convenience. Keep in mind that the laws vary by state and a licensed agent will need to advise you on your specific situation. 1How Do I Save Money on Premiums? The short answer is that consumers can bundle different kinds of coverages together, (i.e. home, boat, and auto). The longer answer is that you can get cheaper coverage if you have good credit, which means paying your bills on time. Most companies will give you a lower premium for paying the entire premium at once (i.e. a policy for 6 months or 12 months of coverage). They may charge a small fee for monthly installments. You can also ask for higher deductibles to have a lower premium. You can also save on a policy by owning your property outright (such as an automobile with no financing) and use the vehicle less. A car insurance company writes a policy based on how many miles that each insured driver commutes to work, etc. Be sure to ask for military discounts, Good Driver discounts, and discounts for having multiple policies with the same company. 2How Much Coverage Do I Need? This is a question that actually varies by state and by the type of vehicle or building that you are trying to insure. For example, for a Florida auto policy, you only need $10,000 personal injury protection and $10,000 property damage liability. Florida is a no-fault state, but so is New York. However, New York requires minimums of $25,000 bodily injury, $10,000 property damage, $25,000 uninsured/underinsured, and $50,000 personal injury protection. It's important to check your benefits with a licensed insurance agent. 3Will My Teenage Driver(s) Raise My Rates? A general rule of thumb is that the rates go up for adding each young driver. Each state has its own laws for when a child qualifies for a learner's permit (with limited driving privileges and another adult in the vehicle) and for an operator's license. Within each state, some cities and towns have more specific rules. In New York City, a person with a learner's permit can operate a vehicle only with dual brake controls. Ask for a Good Student discount for young drivers who you wish to add to your vehicle policy. 4What Can I Do to Protect My Personal Finances When Buying Vehicle Coverage? You would be surprised how many consumers will purchase an auto policy, a motorcycle policy, or a truck policy with little or no understanding of how their benefits protect their household finances. We decided to write a scenario to help readers understand what they will need. Scenario #1: You and your family are involved in an automobile crash. Your vehicle rolls over and is totaled because a semi-truck driver hauling a trailer full of produce lost control and jackknifed. Before you and your injured family members were discharged from the hospital, you already knew that the semi-truck driver was without his own insurance and that the carrier he worked for was trying to deny responsibility for the injury claims saying that the driver bobtailed after delivering his load. Now, the vehicle is a total loss and you and your family members (4 passengers) have many hospital bills. What will you do? The short answer is that your Comprehensive/Collision benefits will ensure that you can be reimbursed for the current replacement value of your vehicle. This will be less if the vehicle had prior damage and/or high mileage. You will also go to your own personal injury protection benefits for medical bills if you live in a no-fault state like New York or Florida. If you don't live in a no-fault state, you may need to use your health benefits to cover medical bills and then seek recovery from your Uninsured/Underinsured Motorist coverage. You can try to get Bodily Injury benefits from the truck carrier/truck owner, but it could be a legal nightmare. Some injured victims will seek legal representation to make a recovery, but there will have to be an applicable policy from which to make a claim for injuries, pain, and suffering. If you haven't purchased Uninsured/Underinsured benefits and there are no at-fault benefits to collect, all of the medical bills from this accident that was not your fault could become your financial responsibility. 5Which company should I choose? It is possible to compare two different insurers that are giving you quotes in the same state. It's easy to go on a state's department of insurance website and read about any complaints against a company. You can also see if an insurer has been fined for failure to pay claims, such as honoring homeowners insurance policies following a large-scale natural disaster. Insurance companies also have ratings by independent companies and organizations, such as websites like Standard & Poor, JD Power & Associates, and the Better Business Bureau. This might surprise you, but many people will shop for a homeowners policy, auto insurance, boat insurance, or other benefits by going online or by speaking with a representative over the phone. They will never sit down with an insurance agent and ask questions so they truly understand their benefits. Many of these answers can be found by reading through a policy, but who reads them these days? What a policy covers will be under the Benefits section and what a policy doesn't cover will be under the Limitations and Exclusions sections. If you want cheap insurance, you will probably get coverage that does not fully protect your financial interests, your property, or yourself and your family members in the event of an injury. You want to go with a moderate level of coverage, not just the minimum limits required by your state. For example, you can't operate a motor vehicle on the road in any state without car insurance. There are standard questions that we ask of potential customers seeking to purchase a home insurance policy. We created this explanation of terms and aspects of your residence that will help us prepare a better insurance quote. We can get rates from multiple carriers to ensure that you get cheap insurance (according to your budgetary needs). Type of Home. Do you live in a home, a condominium, a duplex, a townhome, a mobile home, or a multi-family residential unit? Year Built. The age of your home may make the premiums more if it is older and the cost of construction will be high. Newer homes are built to stricter codes, but they will also have replacement costs based on the market. Construction Type. Some homes are made out of mostly wood, mostly brick, or stucco. Square Footage. The larger your home is (i.e. 1,300 square feet vs. 3,000 square feet), the more construction costs will be involved in replacing it if it is a total loss. There may be a difference between the square footage that is under air conditioning and the square footage that is not under air conditioning. Primary Heating. This is the way that your home is kept warm. Examples are gas, electric, hot water radiator, oil/coal/kerosene, stove, or propane. Each kind of heating source has its own risk factors (i.e. for fire, smoke, or explosions that could occur by accident or as a result of sabotage). Foundation Type. Your home may be built on a fully, half-finished, or unfinished basement, over a crawl space, or on a concrete slab. Roof Type. Your roof may be made of asphalt shingle, tile, metal, or concrete. Some roofs will be more subject to damage based on weather patterns such as heavy thunderstorms, blizzards, hurricanes, or tornadoes. It also depends on whether you are located close to a beach or located inland. Roof Age. The age of your roof will help the insurer to estimate how long it will be until a new one is needed. Garage Type. Some garages are attached to the home, and some are detached. Each garage can accommodate a specific number of cars. A car port is also a type of protection for your vehicles that could be listed here. Fire Alarm Type. You may have manual smoke detectors inside the home, but some homes will have monitored or unmonitored alarm systems and even fire sprinklers that exceed the minimums required by law. Home Security System. You may have equipment that discourages burglaries and vandalism. This can include a monitoring system and an alarm, and this system may be monitored or unmonitored (just like fire alarms). Type of Dog. Some homeowners policies will either cover or exclude the dog bite event. A person may sue your residential policy because your dog bites him or her. Dog breeds might include Chow, Doberman, Rottweiler, Wolf Hybrid, German Shepherd, Pit Bull, or some mix of these breeds. Approximate Replacement Cost of Dwelling. While you might have purchased the home for $100,000, its fair market value might be $300,000. You want to insure your home for what you think it would cost to replace it. Ask for a replacement cost as near to the value estimated by the local property appraiser as possible, if not more. Previous Claims. The insurer will want to know about any claims you have made on a previous policy within the last five years. These may or may not have been to disasters such as weather or fire or because your home was vandalized. Personal Liability Insurance Amount Desired. This is the amount of insurance that you want to have applied to you and your family in case you are sued by another party. These are for types of claims that aren't related to the dwelling, the dog, etc. Existing Policy. The insurer will want to know if you have a current policy in place that will be replaced or if the prior policy had lapsed. Deductible Desired. This is the amount that you are willing to pay before your carrier starts paying out on a claim. This includes events where you are trying to make a claim for repair or replacement of your property. Other Features. These are other aspects of the home that may affect your premium. Think about whether you have a pool, a trampoline, a covered deck or patio, dead bolts, fire extinguishers, and/or exotic pets. Your property may also have outbuildings or additional dwellings that you want to include or exclude on the homeowners policy. Credit Rating. How is your credit rating? You can look up your free credit score online. It could be excellent, good, fair, or poor. Flood Insurance. Use the "Other" box to inquire if the home will be covered against flood damage. Most homeowners policies do not include this coverage even when it is required by their mortgage lender based on where they live. Personal Contents. Ask the insurer about the total dollar limit of benefits that will be available to replace the contents of your home. You can ask for greater or lesser benefits than your agent would normally add to a home that's the same size as your dwelling. Contents include furniture, electronics, clothing, appliances, artwork, jewelry/valuables, and so on. If you keep a lot of expensive items in the home, you may need to prepare documentation on each item's value. This will help you make a claim to recover the value of lost or damaged items in the event of a burglary or a total loss. You may choose to work with an agent selling different kinds of liability coverage for your business. This may be done entirely through the agency's website and via telephone, email, text, and/or postal mail. Your business may also be required to show proof of a bond for a certain amount of money. Proving a bond is common in the mortgage, insurance, title, and building industries. Legal Entity. This varies by state, but might include sole proprietorship, partnership, LLC, S corporation, and C corporation. Number of Full-Time Employees. This the number of positions that your company maintains throughout the year. These employees may or may not be covered under your group health and workers' compensation policies. Number of Part-Time Employees. This number of positions could fluctuate throughout the year. There should be a minimum number that you plan to keep on staff. Subcontractors. What types of people work for you on this basis? They are not considered employees. However, the work they do for you may come under question if someone sues your business. Partners/Owners. How many people have a share in your business? What is their percentage of ownership? One-Time Event/Seasonal Business. Some businesses need coverage for a special event or they only operate at certain times during a calendar year. What kinds of activities does your business engage in? This is where you describe in detail the types of products and services that you sell and the types of operations that are involved. For example, a company might have sales facilities and manufacturing plants as well as corporate offices. 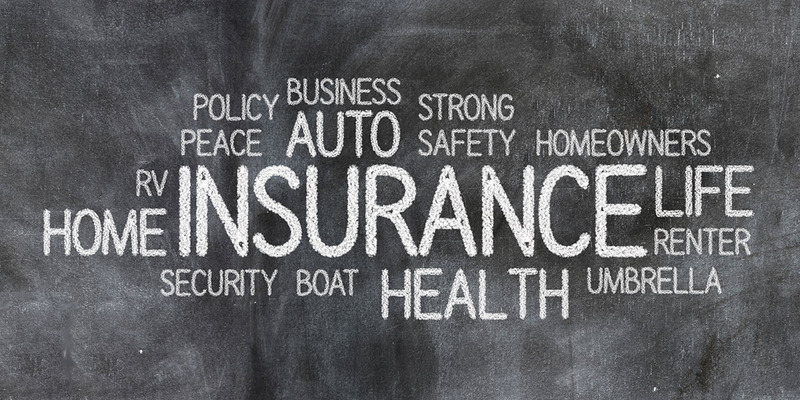 What kinds of coverage do you want to include on your business policy? You may need an umbrella policy that also includes your personal liability insurance, identity theft insurance, homeowners insurance, boat insurance, motorcycle insurance, RV insurance, ATV insurance, and more. For business owners, some potential coverages are as follows: General Liability, Commercial Auto, Commercial Property, Cyber-Liability, Professional Liability, Directors and Officers Liability, Business Owners Package (BOP), Workers Compensation, and Commercial Crime. Truck Insurance. From bobtail insurance to cargo insurance, we receive many questions about the liability insurance that we sell and how it will help to protect truck drivers, truck owners, motor carriers, and other companies in the trucking industry. We offer different kinds of liability protection including truck insurance, cargo insurance, and bobtail insurance. It makes sense to speak with an agent in order to purchase an umbrella policy that includes the ones mentioned above as well as general liability coverage. You want to know that you and your drivers are out on the road and protected against different kinds of accidents and potential claims, whether they are the at-fault in an accident or not. You want to insure the contents of each truck's load because products can be lost, spoiled, stolen, or damaged.